The agenda of the group is strictly non-political, and is, therefore, inviting all Seychellois citizens to join in this noble cause to save the Aldabra group of islands against a catastrophic and ill-thought-out military base. The Aldabra Atoll is comprised of four large coral islands which enclose a shallow lagoon. The group of islands is itself surrounded by a coral reef. Due to difficulties of access and the atoll’s isolation, Aldabra has been protected from human influence and thus retains some 152,000 giant tortoises, the world’s largest population of this reptile. Aldabra is one of the largest atolls in the world and contains one of the most important natural habitats for studying evolutionary and ecological processes. SAIG believes in a “friendly to all and enemy to none” policy and is totally against any military on its motherland, no matter the foreign power, especially a nuclear one. Furthermore, a military base so close to a natural World Heritage UNESCO site and biological treasure such as Aldabra is totally unacceptable from an environmental, ecological, and nature protection viewpoint. 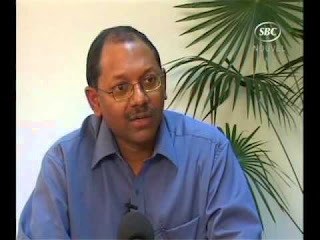 SAIG is asking the government under the “Free Access to Information Act” and the right of the citizens of Seychelles to know the details of such a proposed huge military base project of this magnitude and nationwide importance involving foreign nuclear power on its territory, to release the MOU and all the details relating to this military base. SAIG believes that such a contested project should be decided upon at least by a democratic process through a national referendum. Furthermore, SAIG is calling on all the members of the National Assembly (NA) to vote against the military base agreement signed between the Seychelles government and that of India when the bill comes before the NA for ratification. There are already unconfirmed rumors in public circulation that 6 local IDC workers on Assumption Island have been given financial incentives to be repatriated to other islands and that Indian construction workers are already on the island and the construction of the military base has already started. SAIG is asking the government to clarify how the project could already be under construction even before the final ratification by the National Assembly. Members of SAIG will be filing a case before the Constitutional Court soon to contest the constitutional legality of the way the whole deal is being imposed on Seychellois citizens.